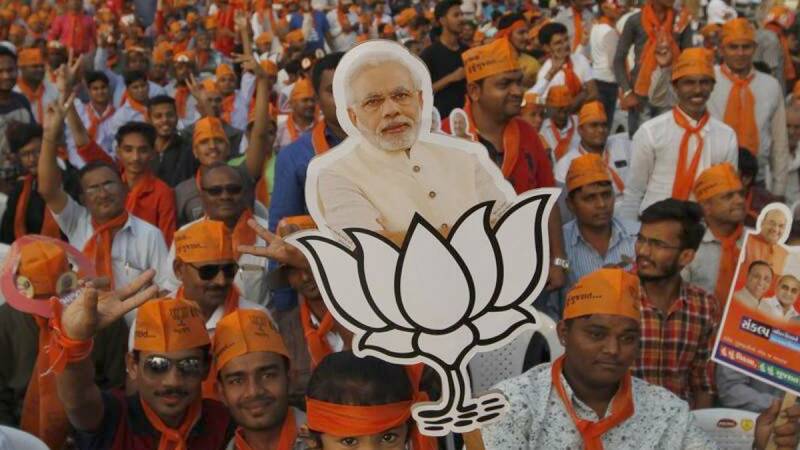 New Delhi : The BJP was upbeat about wresting power from the Congress in poll-bound Karnataka after its victory in the Gujarat and Himachal Pradesh assembly elections on Monday. Bharatiya Janata Party (BJP) state unit president B.S.Yeddyurappa expressed confidence that the "massive victory" of the party will also reflect in the elections of the southern state, where assembly polls are due in April-May next year. "The election results in Gujarat and Himachal Pradesh have shown that people have once again supported Prime Minister Narendra Modi and his pro-poor policies," he told reporters at the party office here. "Karnataka will also similarly throw out corrupt Congress government in the state in the 2018 elections. Gujarat elections will have a positive impact over Karnataka's elections too," he claimed. BJP leader and former Chief Minister Jagadish Shettar said the assembly results of Gujarat and Himachal Pradesh depict people's support for Modi's policies. "The results show that people are not actually against note ban and demonetisation policies and have supported our PM's initiatives," he said. The BJP came to power in the state on its own in 2008 but lost to the Congress in May 2013 assembly elections following a split in the state leadership in 2012 when Yeddyurappa quit the party and formed the Karnataka Janata Paksha. He subsequently rejoined the BJP.